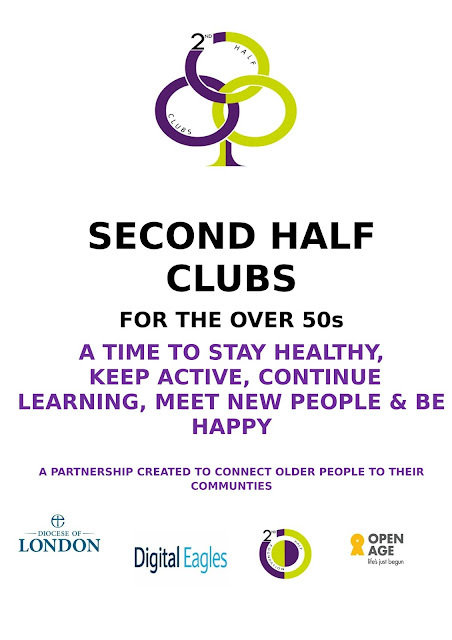 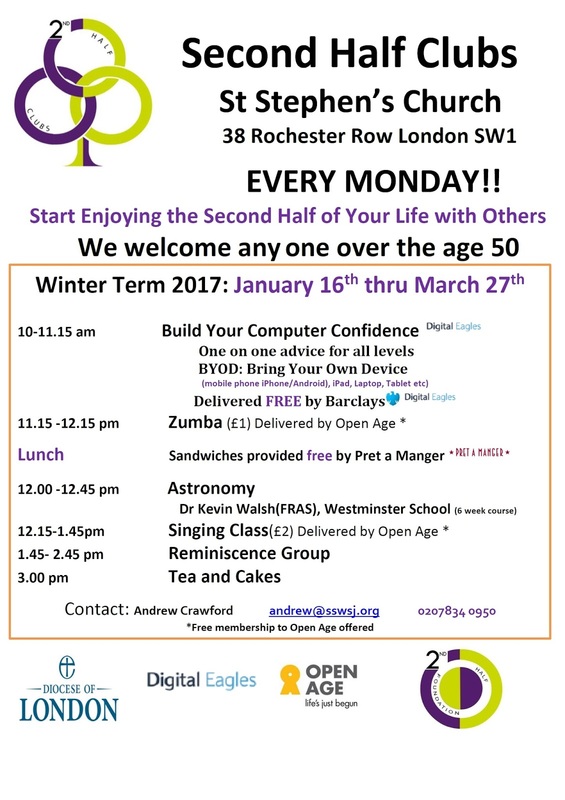 Second Half Clubs every Monday at St Stephens Church on 38 Rochester Row SW1 and every Wednesday at St Paul’s Church on 5 Rossmore Road NW1 are thriving. Launched in early October 2016, new community hubs based around existing church buildings are thriving. 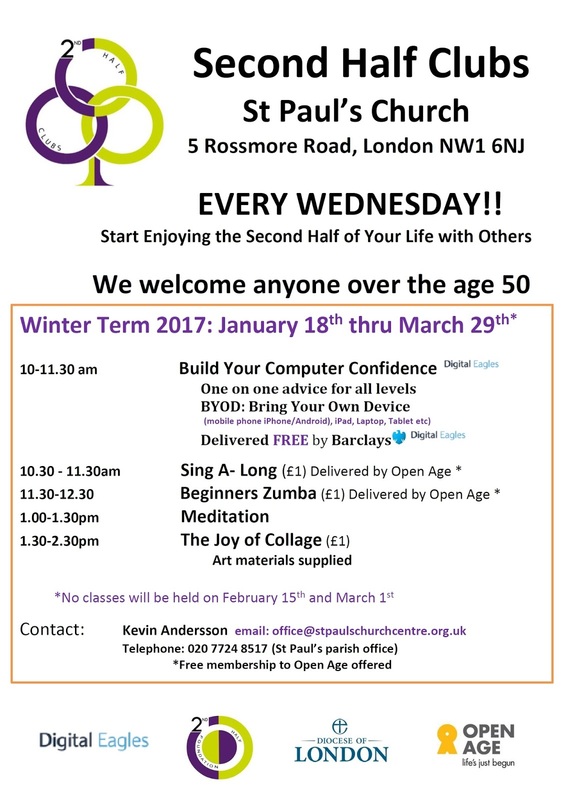 With a full schedule of Zumba, Singing, Computers, Art Classes and Meditation, growing older has never been more fun. See below for schedules and photos of some of the activities this week.